Magazyn S&T plus gra Soldiers: Decision in the Trenches 1918. 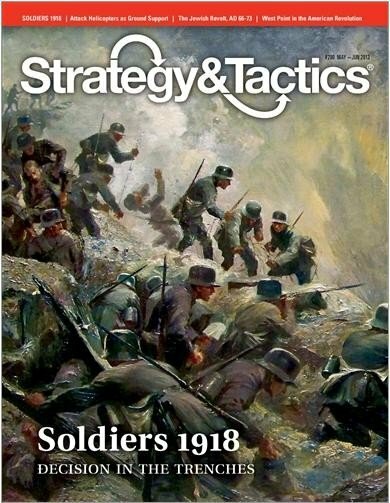 Soldiers: Decision in the Trenches, 1918 is a two-player tactical wargame of low-intermediate complexity simulating the first 30 to 60 minutes of a hypothetical (though typical) attack by an American infantry division somewhere along 1st US Army’s area of operations on the Western Front in the late summer or early autumn of that year. The American player is on the offensive, attempting to use his division to break through the German defense line that covers almost the entire map at the start of play. The German player – in the historical role of a Kampftruppenkommandeur or “K.T.K.” – commands, in total, a reinforced infantry regiment that’s fighting to prevent a breakthrough, or any significant penetration, of its position. The game is won by playing once, noting the depth of the American penetration (failing a “sudden death” breakthrough victory), then switching sides, playing again, and comparing that game’s depth of penetration with that of the first match. Draws are possible and solitaire-play is doable. 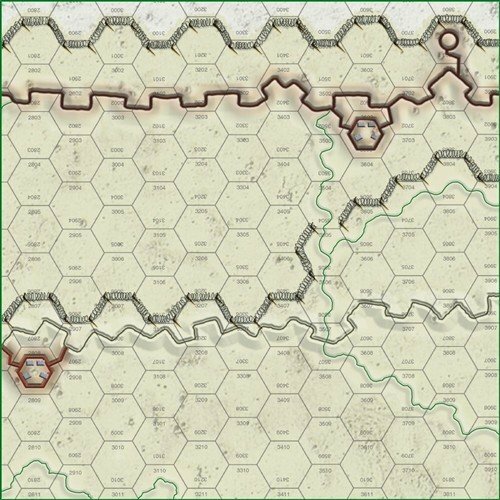 Each game turn of Soldiers is equal to five to 10 minutes of “real time,” depending on the tempo of action in each turn, and each hexagon represents 25 yards (22.8 meters) from side to opposite side. 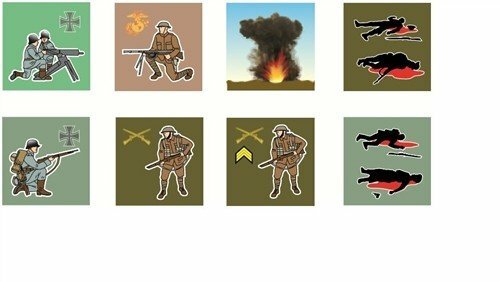 Each unit-counter represents a platoon of infantry or heavy machineguns. Tactical support units – such as light artillery (“one pounders”), mortars, engineers, etc. – are assumed to have been broken up and parceled out among the infantry squads, as was the usual practice historically.